If life has got you down, Stomper Lau Lup would like to remind you to have a little faith for the good times to come. Lau Lup told Stomp that the last six months have not been easy for him and his family. For one thing, his wife has been looking for a job since July. After applying to many companies and going for several interviews, no one had gotten back to her. As a result, Lau Lup has had to work extra hard and faced a great deal of stress to be able to provide and care for his wife and newborn son. However, things recently took a positive turn. 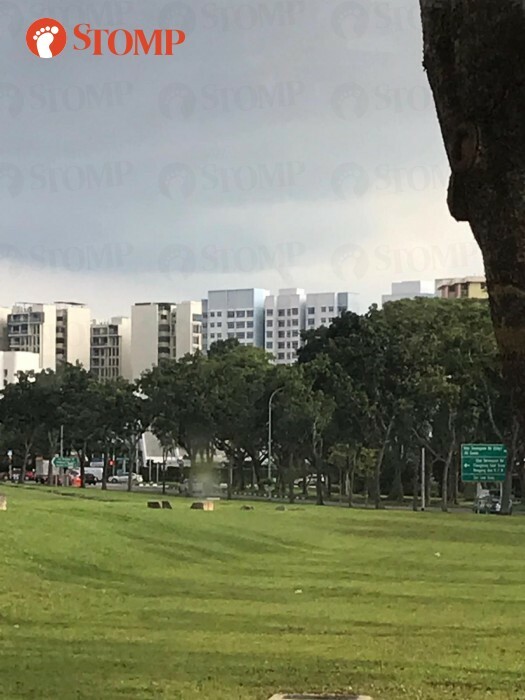 He was on bus service 147 on Dec 20 when he looked out the window of the bus and saw a cloud that looked like a tornado. Thinking it looked interesting, he took photos of it before receiving a call from his wife. He said: "My wife called to tell me that she was offered a job. "I was extremely happy and thanked God for answering our prayers. "We had been praying for her to get a job for six months and we felt so relieved." 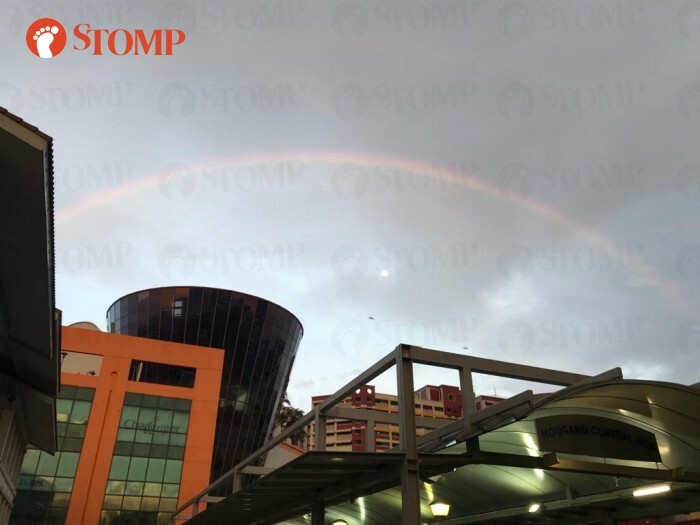 After alighting the bus at about 6.50pm, he was walking and spotted a rainbow in the sky near Hougang Mall. He said: "There was a tent which was set up for Taoists to pray at. "There were many flags near the tent. My eyes followed the flags upwards, which led me to see the rainbow." He took pictures and videos of the rainbow to capture its beauty. He sent both the pictures and videos of the cloud that resembled the tornado and the rainbow to Stomp. That night, Lau Lup thought about what his sightings could have meant and pieced together a puzzle he feels was made especially for him. He shared with Stomp his interpretation of the sightings: "It took me a while to digest all the various sightings and realised God's message to me and my family. "It was a new beginning for my wife even before the year 2018 ends. "I think the rainbow is God’s promise that He will always be there for us through the trials and tribulations of life. "The rainbow is a good omen of a new beginning after a crisis. "The presence of the rainbow reminded me that losing one’s job was not the end but a new beginning. "Interestingly, before I saw the rainbow, I saw the strange cloud formation that looked like a tornado, when it was about to rain. "I thought to myself that the loss of my wife’s job was so unsettling, life-changing and sudden, just like an encounter with a tornado. "I shall remember this message throughout my life. "The ‘tornado’ and rainbow sighting also confirms what the philosopher Lao Tze said. "He said 'There is no weal without woe'." The Stomper would like to encourage others to look at the bigger picture and know that there is still a chance things will turn out fine.